With nearly 50 years of experience in installing, maintaining and repairing HVAC systems, BPP has the experience and training to provide you with the best options for home comfort. Despite our relatively mild weather, furnaces are essential to keeping the chill out of your Bay Area home. Our BPI certified technicians have the skills and experience to identify a furnace problem and find energy-saving solutions. As a Carrier Comfort Dealer, we can replace your old furnace with one that offers efficient heating. Air conditioning offers a double benefit in summer: both cool air and reduced humidity help keep your family comfortable. Whether it’s central AC or individual window units, BPP can get your system in tip-top shape for summer. 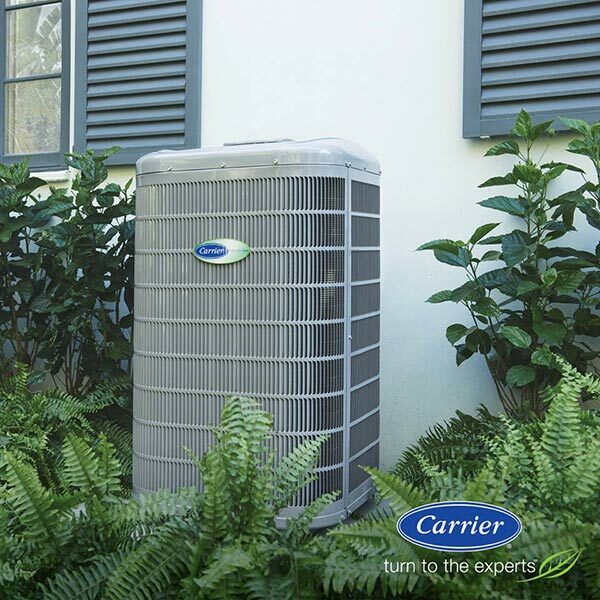 Our Carrier Comfort Dealer experience provides us with skills to right-size and replace air conditioners to save you money. Mini-split heat pumps, like those we install from Daikin, offer efficient heating and cooling with programmable controls. Their installation can provide single living area comfort with minimal ductwork. The technology on these units is quite remarkable and we find they are a great solution for many homes. BPP offers maintenance and repair for nearly every brand of furnace, air conditioning and mini-split heat pump available in the Contra Costa County area. We also offer convenient service contracts that can take the guesswork out of scheduling maintenance and identifying needed repairs. Regular maintenance helps to keep your biggest investment in top running shape. Properly cleaned and maintained HVAC systems are more efficient and cost less money to operate. Furnaces provide homes in our area with heat using natural gas, electricity or fuel oil. At BPP, our team has the experience and knowledge to ensure that your furnace is well maintained. Should you need an upgrade, we can size and install an energy efficient furnace or heat pump that meets your needs. For many homeowners, mini split heat pumps, also called ductless air conditioners, provide flexibility and efficiency. Mini splits are quiet and effective upgrades for bedrooms, family rooms and other areas in the house. Today’s energy efficient homes are much more tightly sealed to keep outside air from infiltrating. That’s great for saving energy dollars, but areas like bathrooms and kitchens create humid air that can cause problems if not properly ventilated. BPP can design a residential mechanical ventilation system to keep your indoor air healthy. Are your furnace or AC systems underperforming or too expensive? Call BPP at (925) 256-1092 or submit our online contact form to schedule a review of your present system.